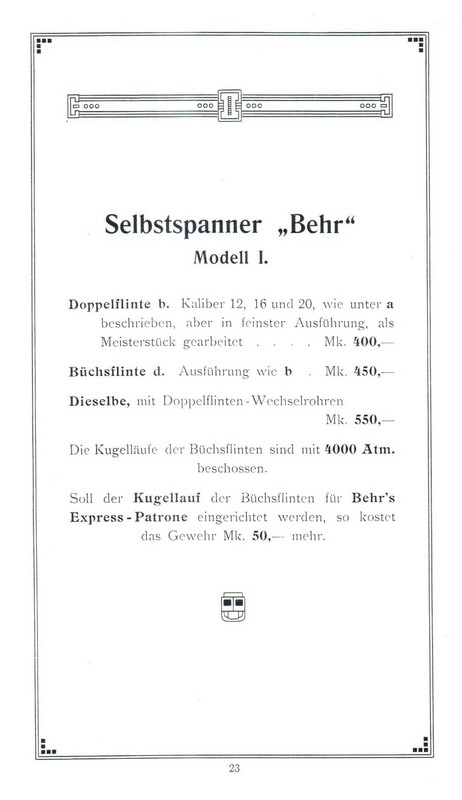 Very little is known about Burkard Behr except for what we can glean from his Patents and a few Ads found in early 20th Century periodicals. 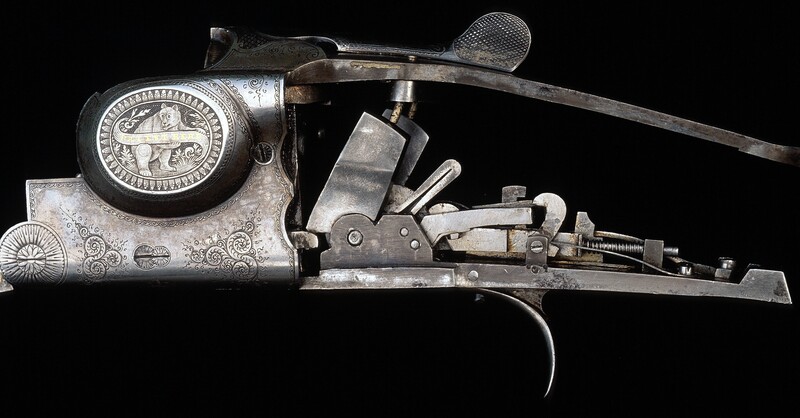 He was a prolific inventor working in several fields at any one time. 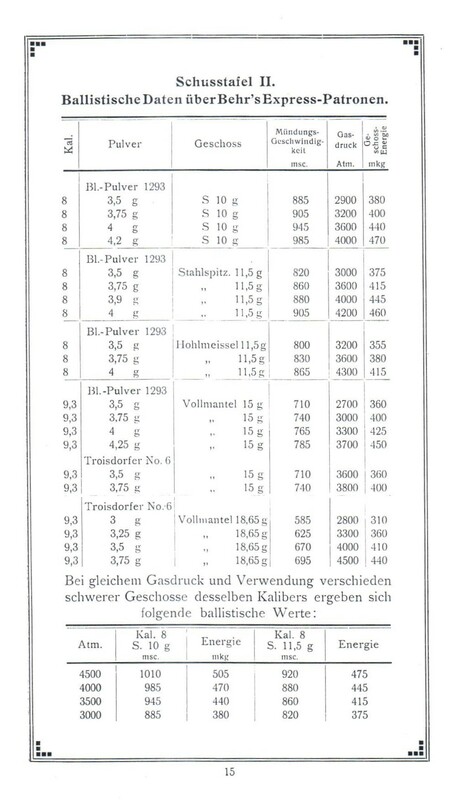 He held Patents in Germany, Austria, Switzerland,England, France and the United States. 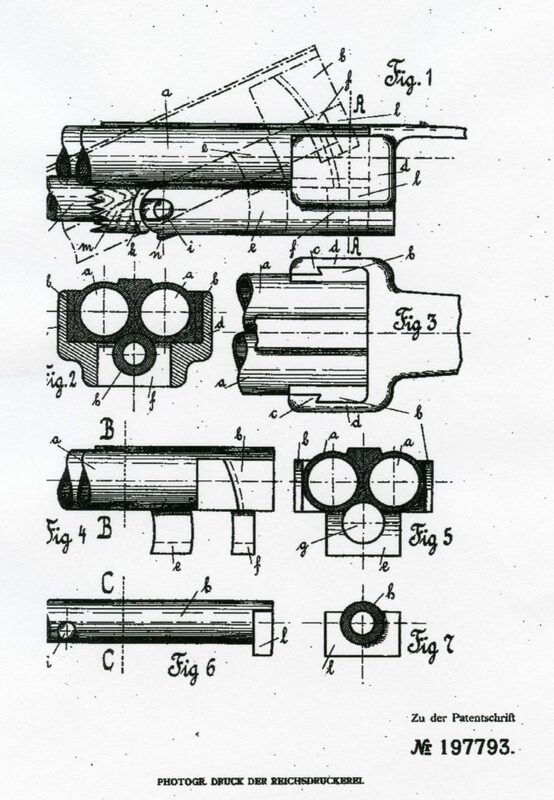 His U. S. Patent no. 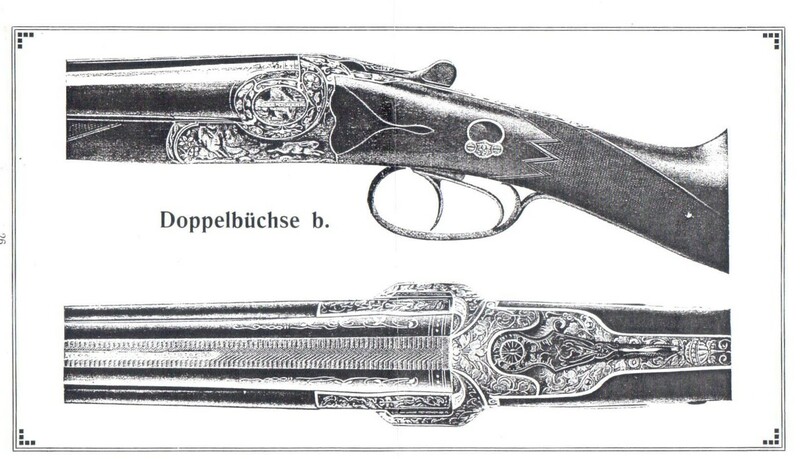 630,478 of Aug. 8, 1899 states that he was a citizen of the Empire of Russia and at the time he resided in Zurich, Switzerland. 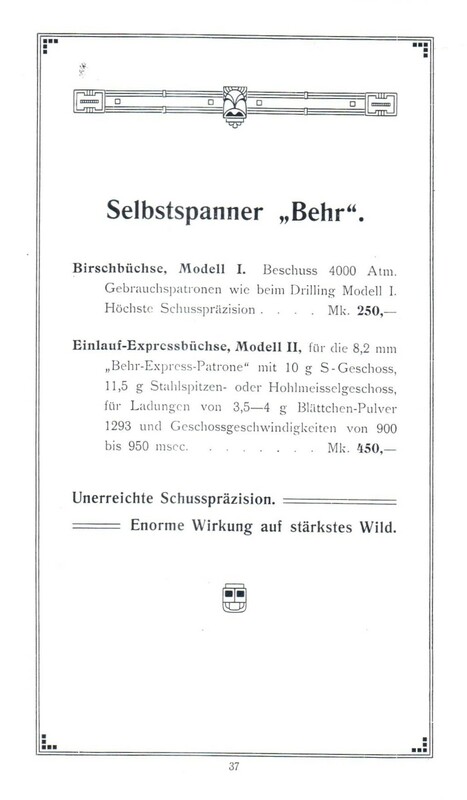 In Febuary of 1903 the Zeitschrift Für Werkzeugmaschinen und Werkzeuge stated that “Behrs Industrie-G. m. b. H.” was located in Bremen, Germany where he had an association with Emil Finke who owned a successful Machinery, Machine Parts and Lubricants business. 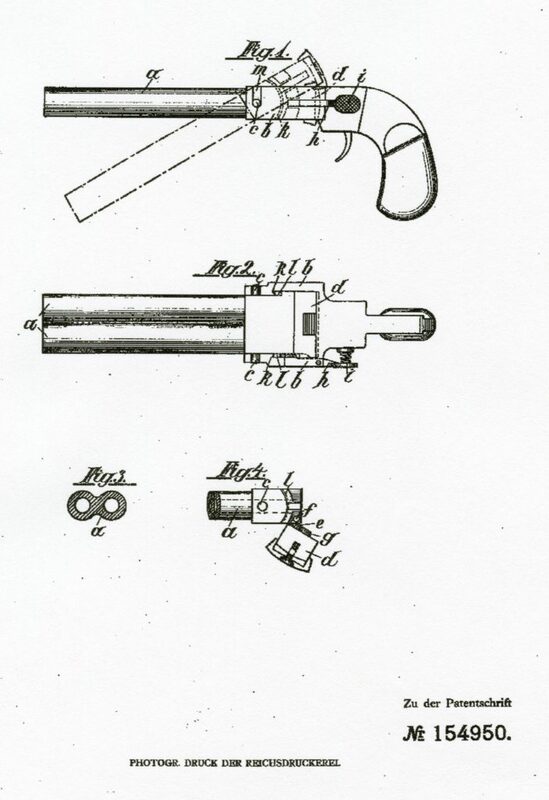 By 1904 when he applied for the U. S. Patent no. 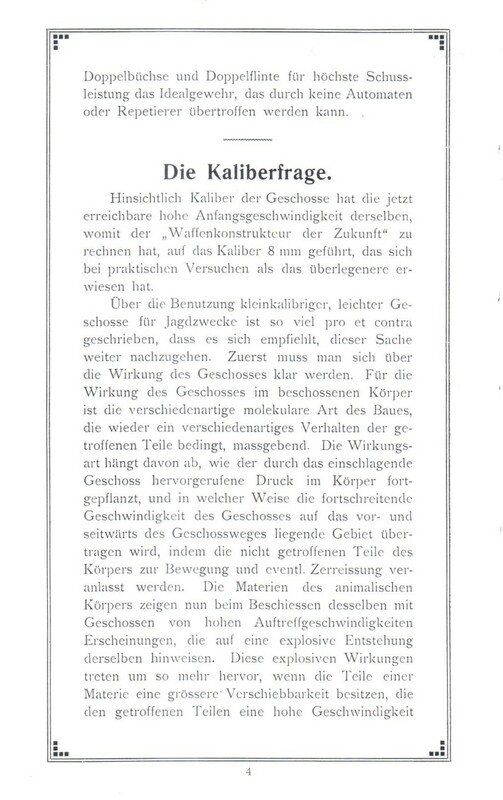 791,129 he stated that he was a citizen of the German Empire and resided in Hamburg. 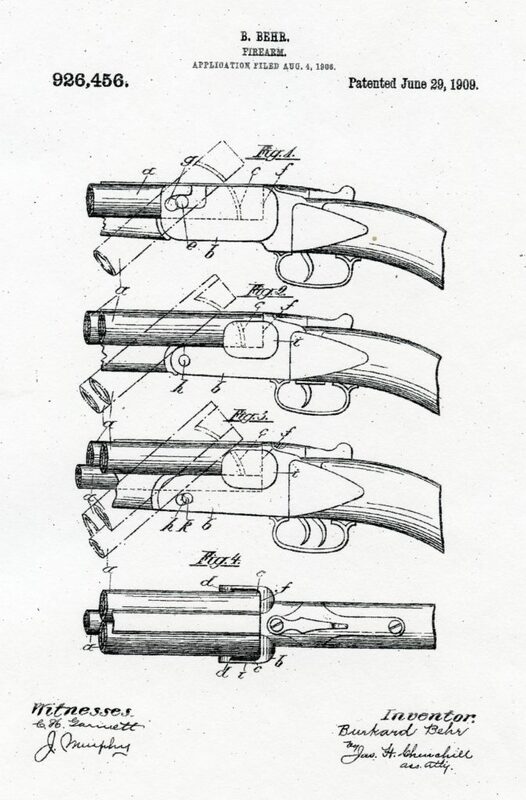 In Nov. 1905 when he applied for U. S. Patent no. 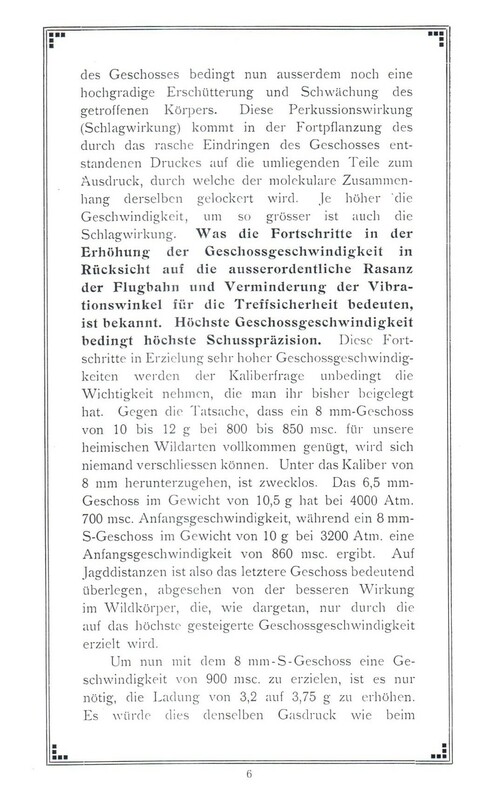 837,601 he still gave his address as Hamburg, Germany. 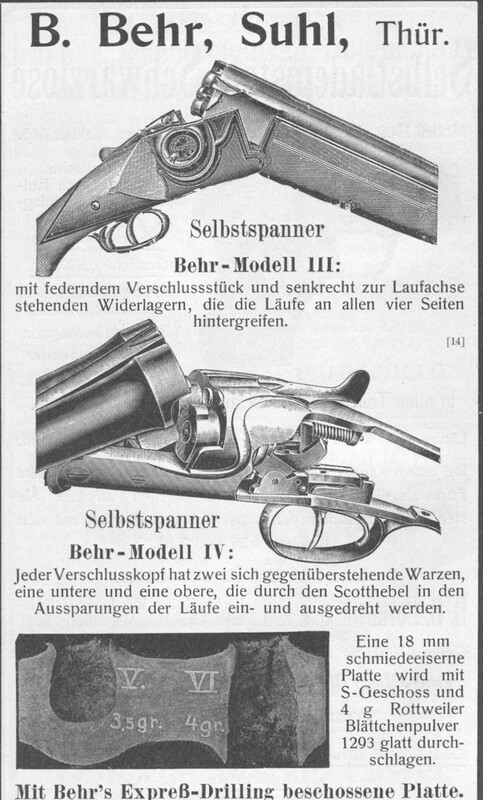 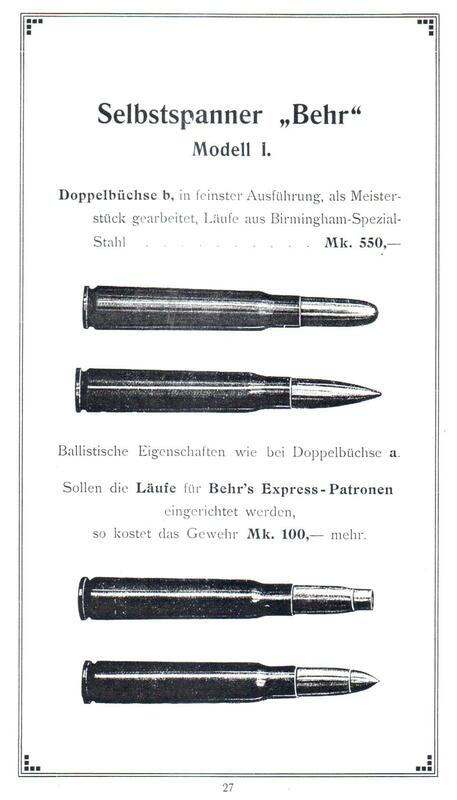 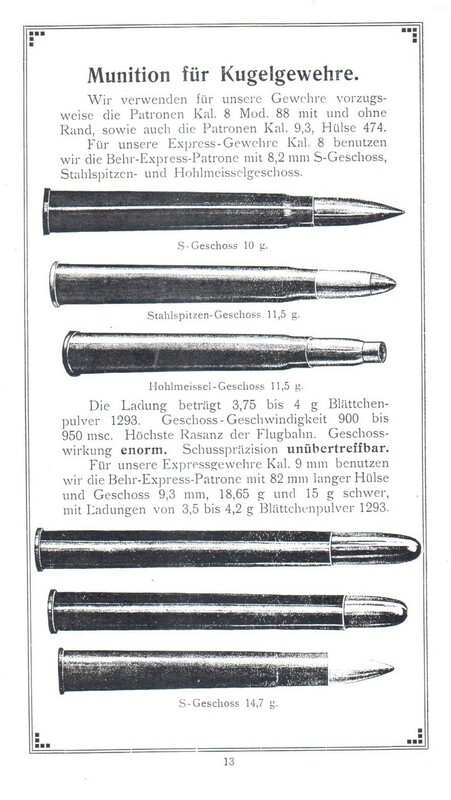 By the time the first issue of the periodical Schuss und Waffe came out in October of 1907 “Behr’s Waffen-Werke G.m.b.H. 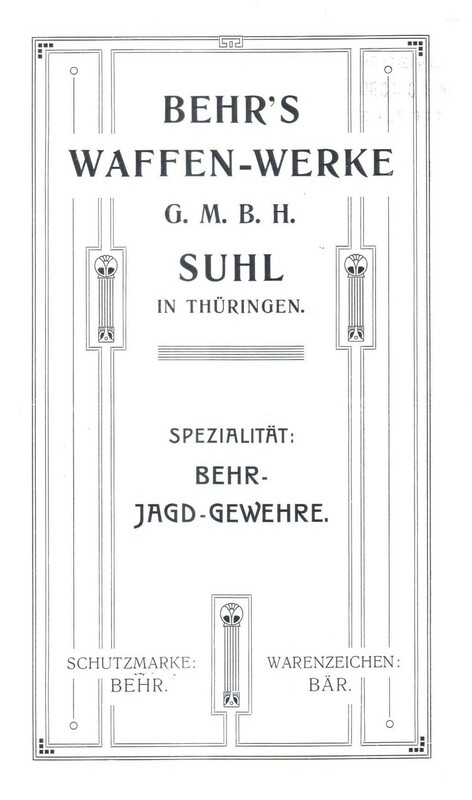 ” was located in Suhl. 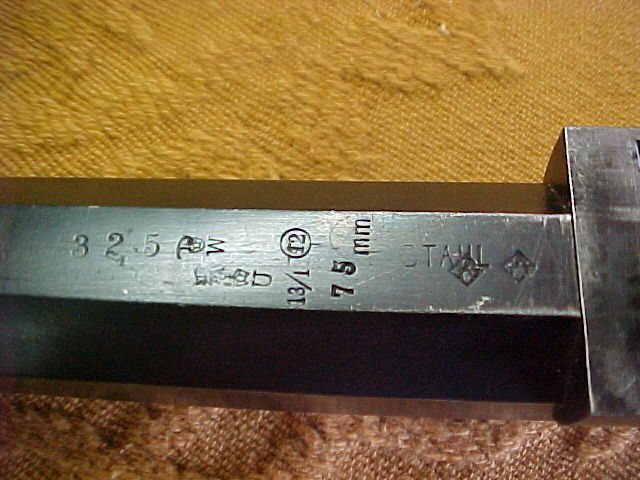 He gave his address in the British Patents as Villa Hinrichsen. 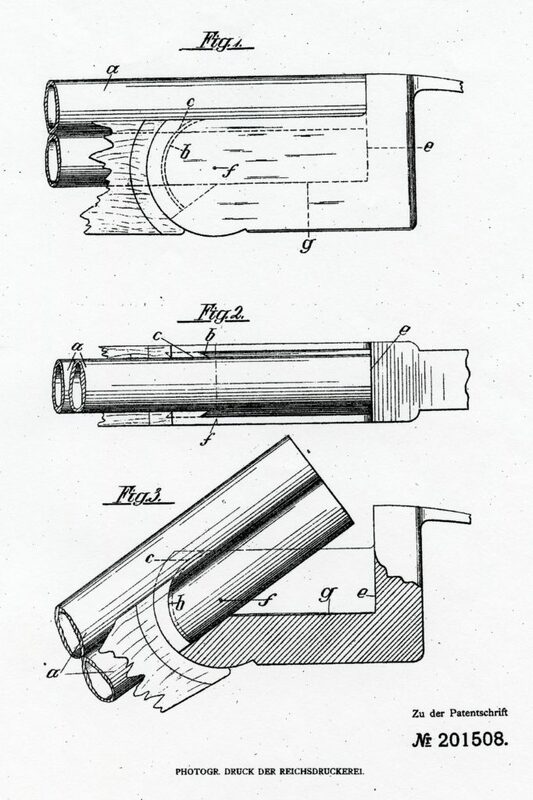 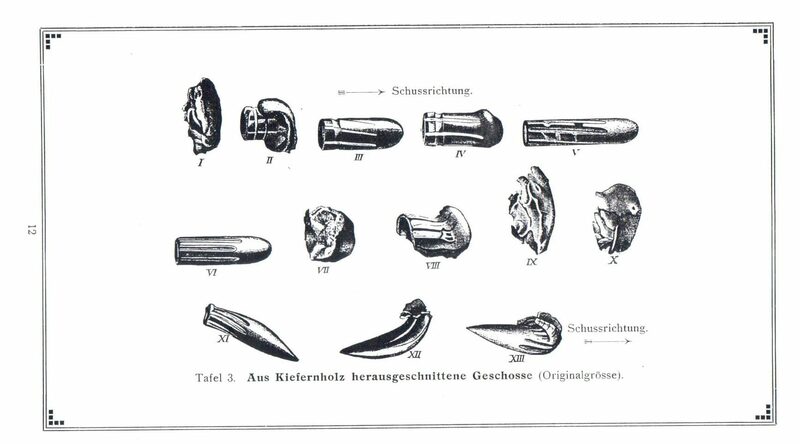 Burkard had about 52 Patents which covered not only his breech loading fireams but also armor shielding for Artillery, a recoil absorbing mechanism for Artillery, flares for signaling, an improved signel rocket, a device for projecting life lines, a apparatus for the humane slaughtering of livestock, an Electric Signeling System for Hotels and improvements in Cartridges. 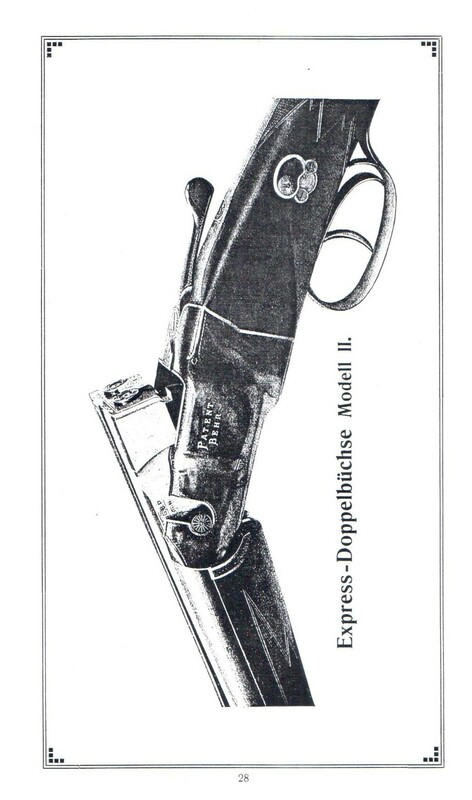 His first firearms Patent was DRP102624 of May 2, 1899 for a handgun intended for Cyclist Protection. 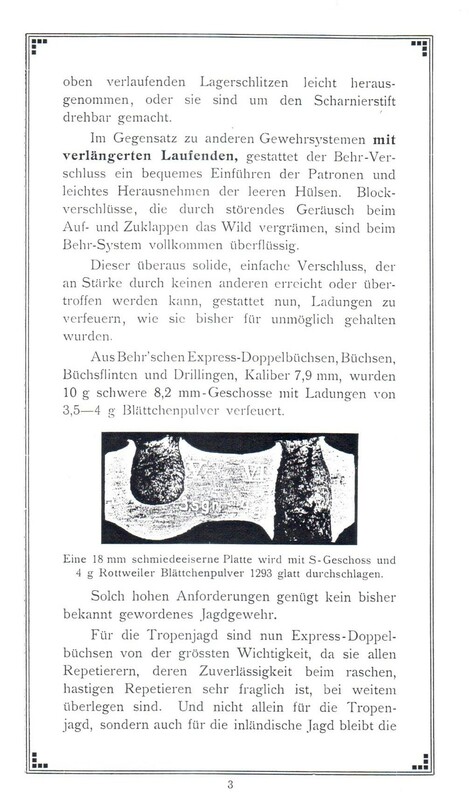 This Patent and it’s succesor DRP104616 of Aug. 3, 1899 were both assigned to Fraulein Valerie Schlapel of Zurich, Switzerland. 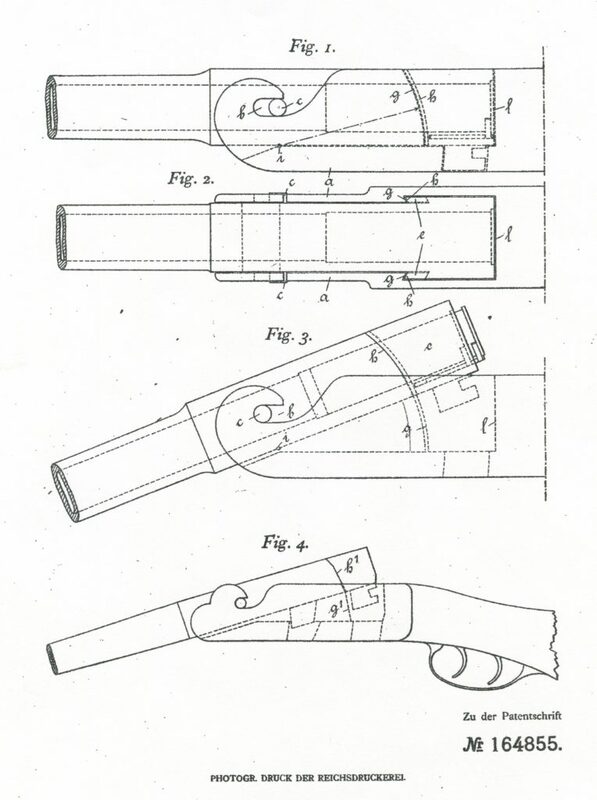 These Patents were later re assigned to the aforementioned Emil Finke of Breman. 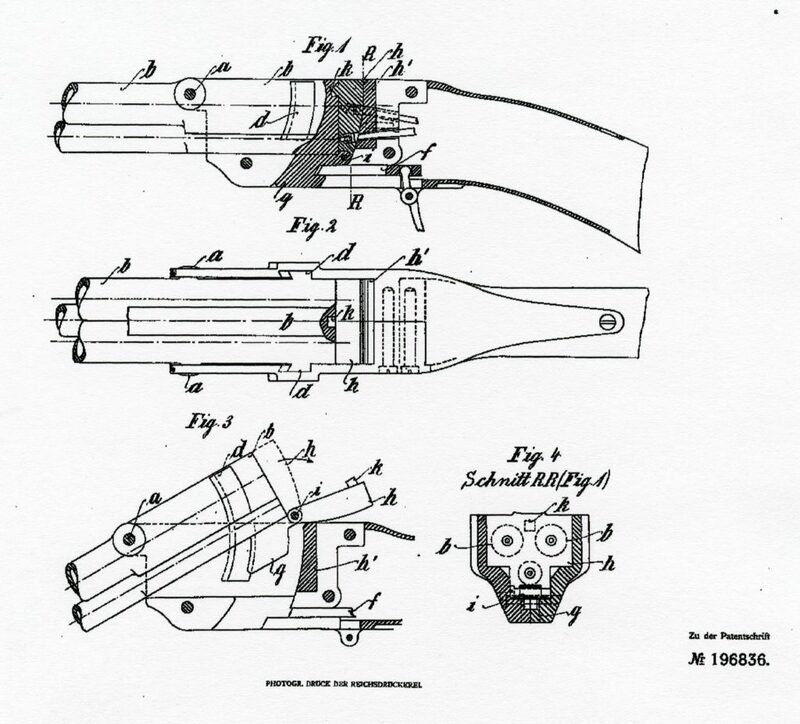 The US Patents for that handgun were issued to Burkard Behr directly. 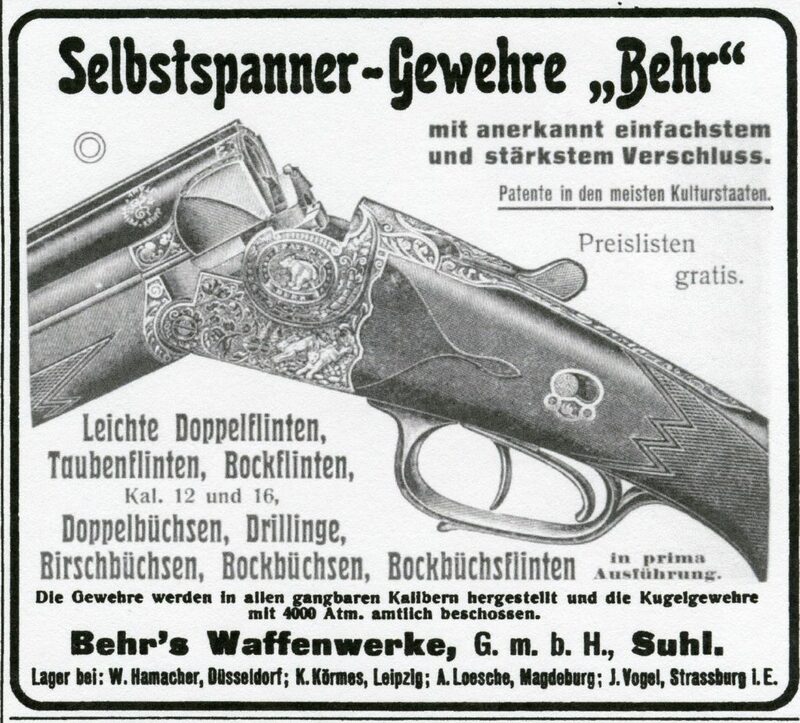 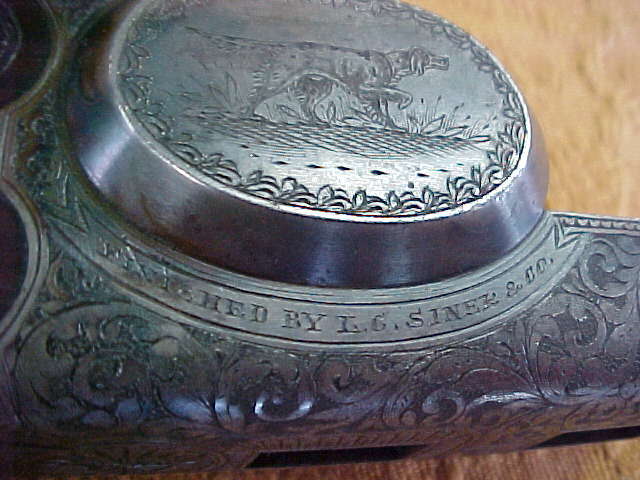 This handgun was produced by J.P.Sauer & Sohne of Suhl and was and is refered to as the BAR pistol. 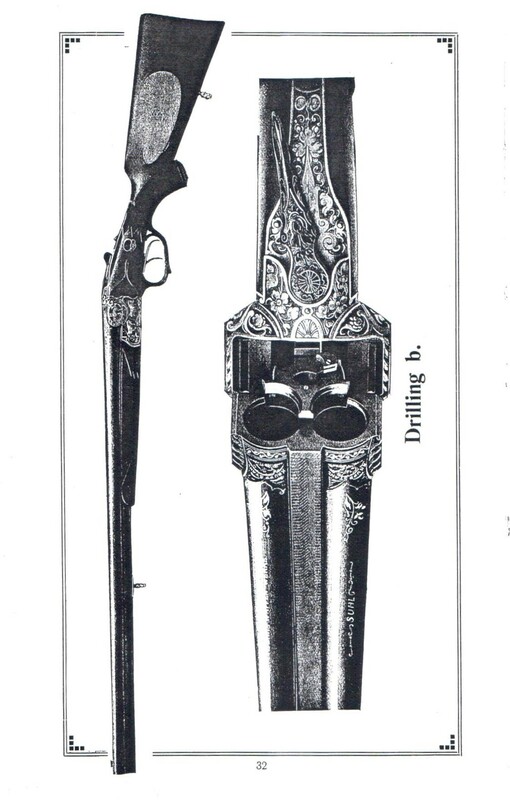 Since this pistol was not intended for Hunting or Sport we will not elaborate more upon it. 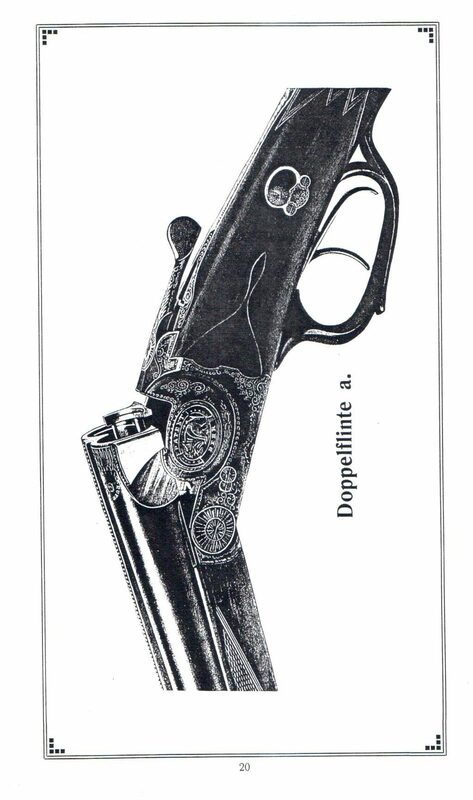 Around 1900 Burkard took an interest in the humane slaughtering of animals by Abattoirs and on Febuary 13, 1903 he received DRP 148934 for a handgun that fired a bolt which would stun an animal before bleeding. 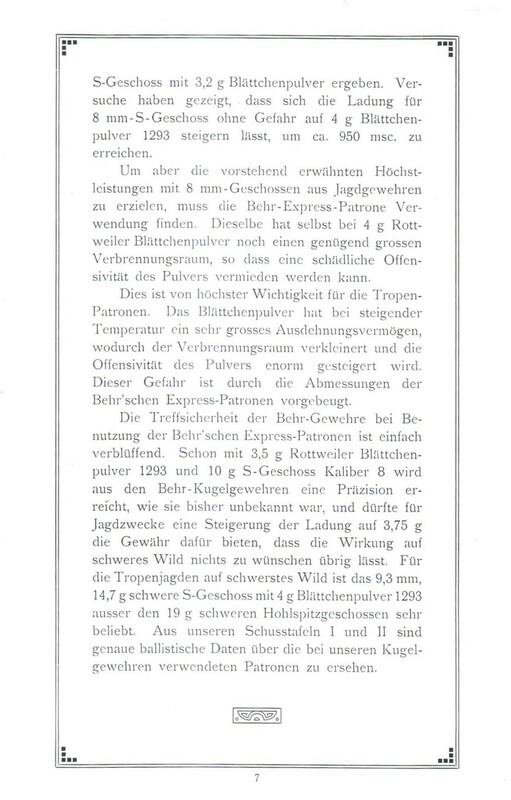 This was followed up with DRP154950 issued on October 8, 1904. 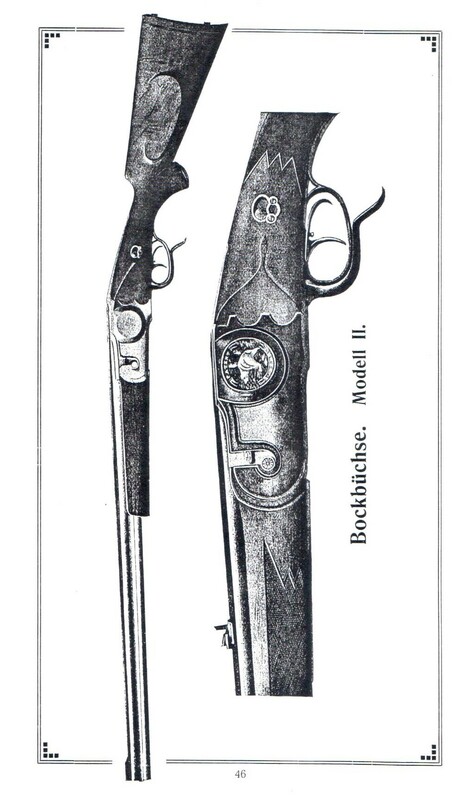 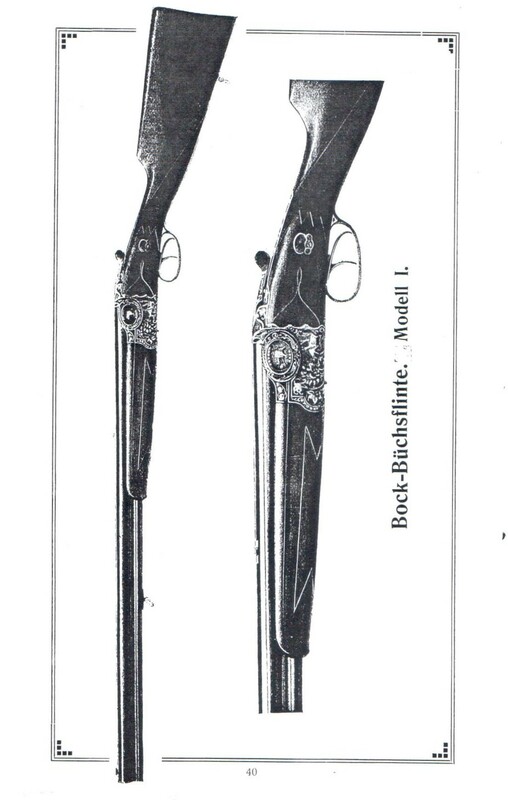 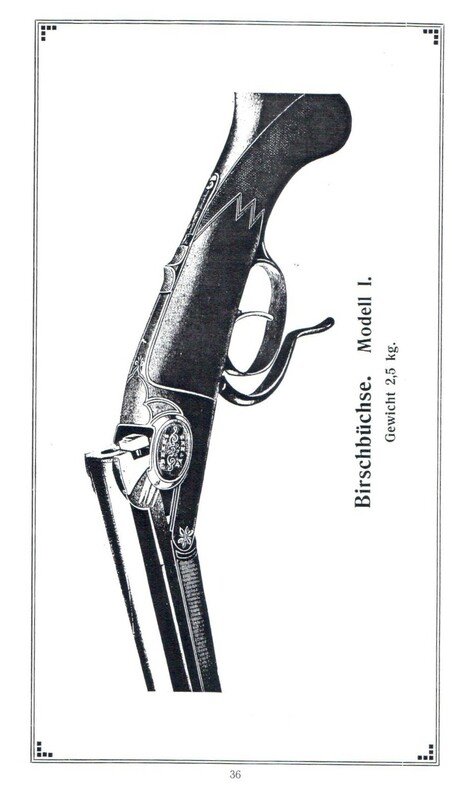 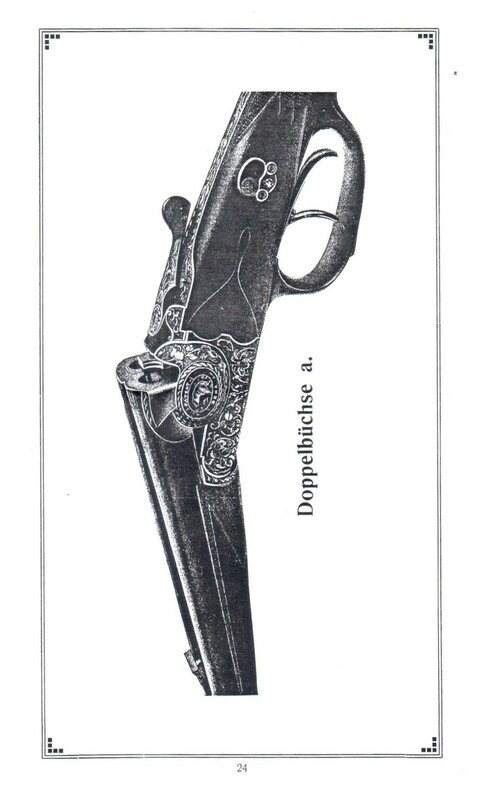 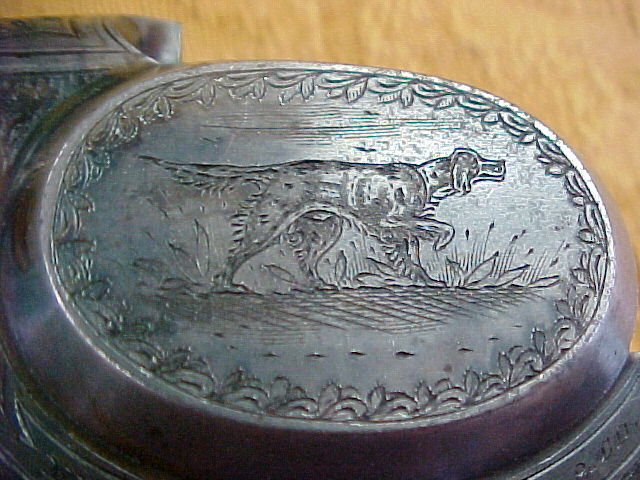 This design was intended to be an improvement in the arm used by Abattoirs but it’s action was the foundation for Burkard’s later Sporting Gun developments. 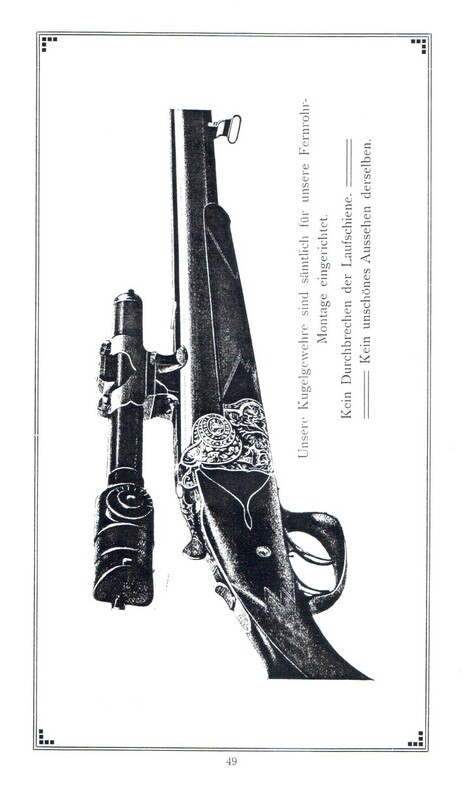 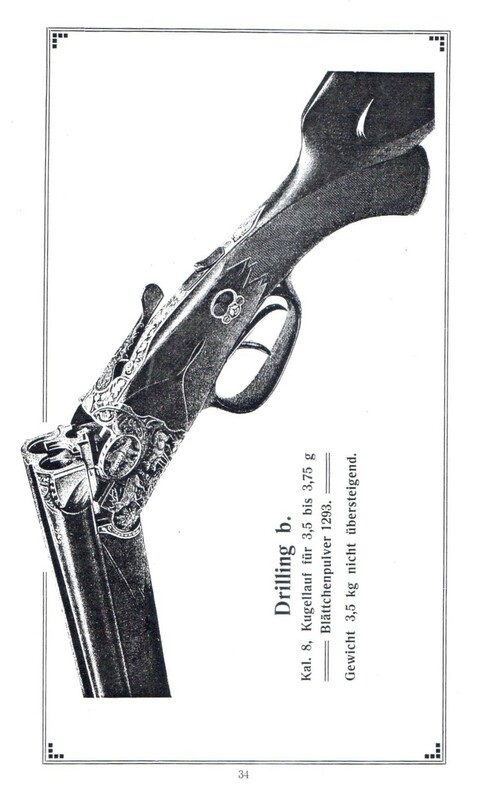 It covered a tipping barrel or Kipplauf action with a hinge pin in line with the guns bore, dovetailed bosses on the rear of the barrel intersecting the cheeks of the receiver and a hinged breech block. 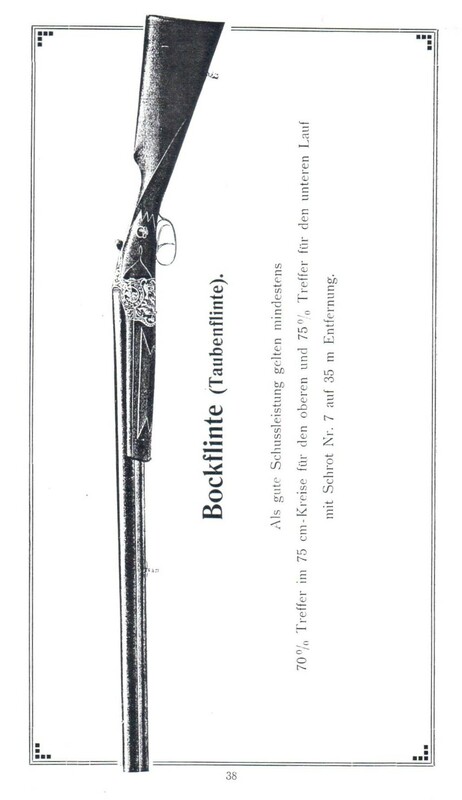 This Patent was the subject of legal action between Burkard and Carl Friedrich Philip Stendebach. 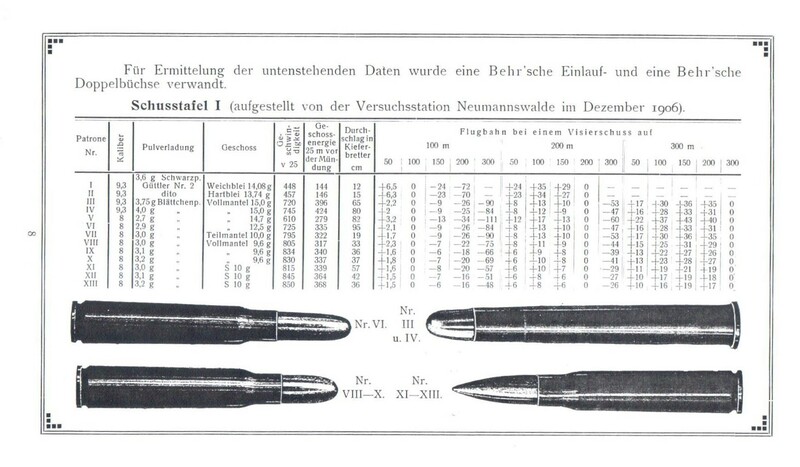 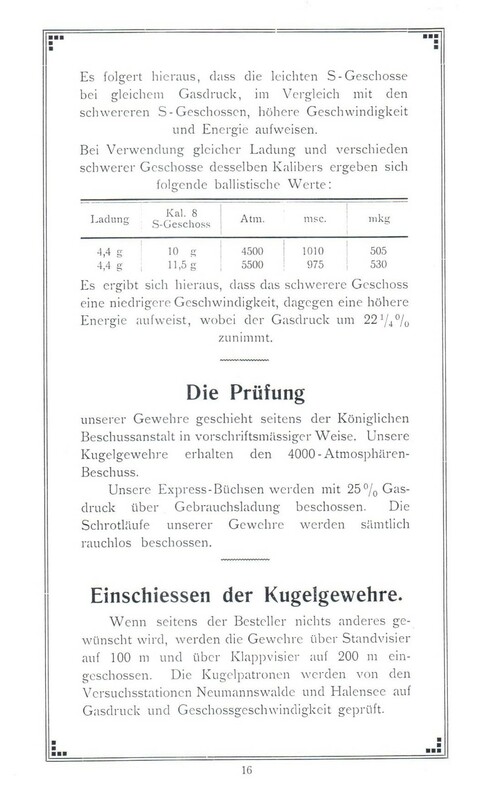 A comparison of Burkards Patent with Stendebach’s Patent (below) no. 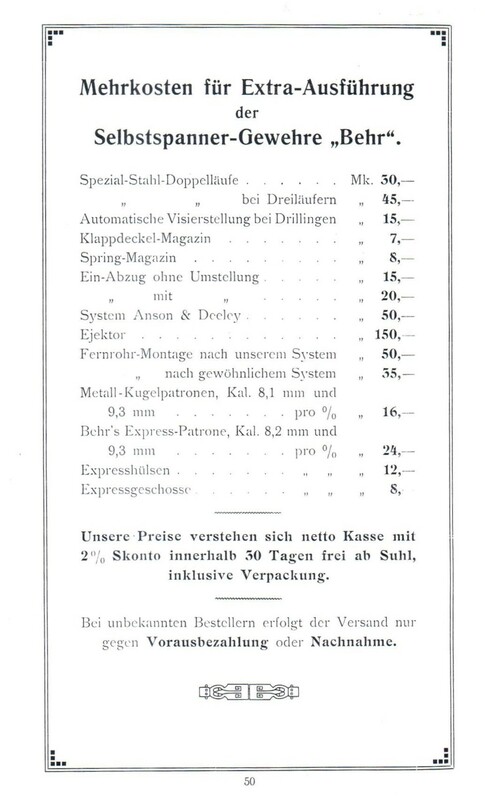 196836 of May 20, 1905 shows at least three similar points. 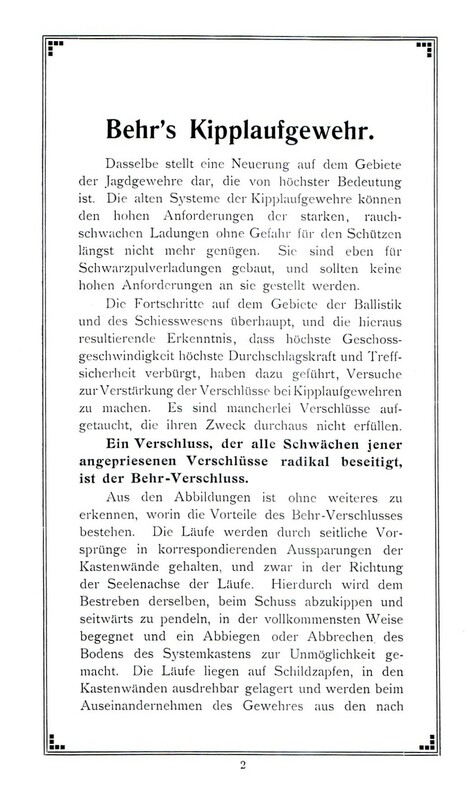 In the 5th issue of Schuss und Waffe appeared an announcement by Burkard about this legal action. 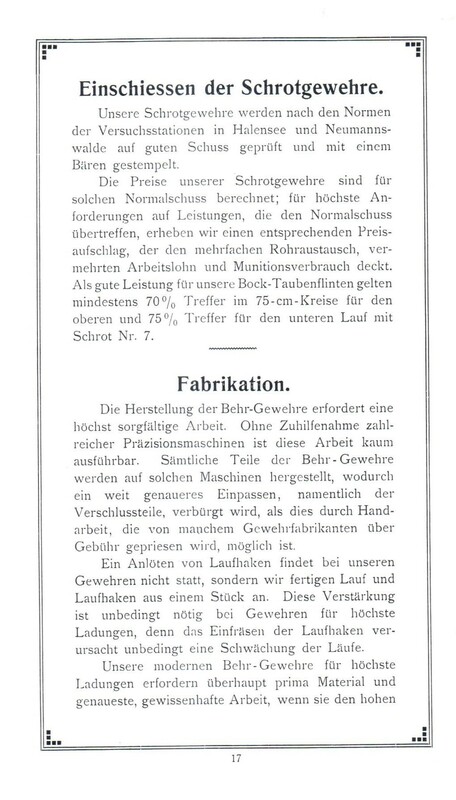 It appears that Stendebach took action against Behr but the Reichscourt found Stendebach’s suit invalid. 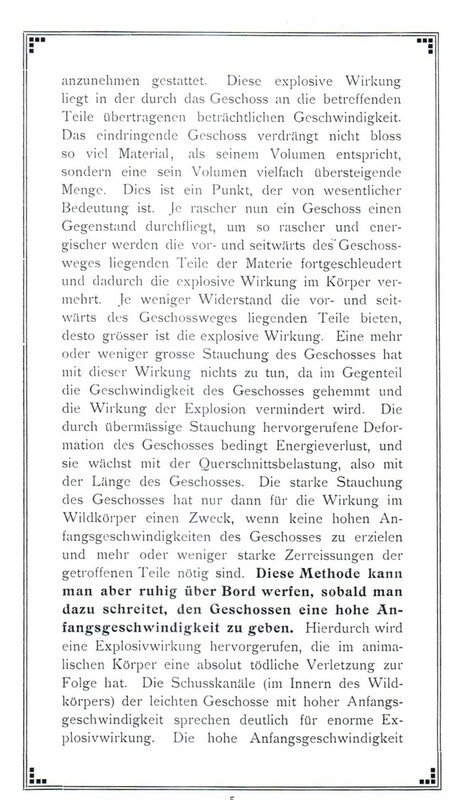 Below the announcement is an interpretation. 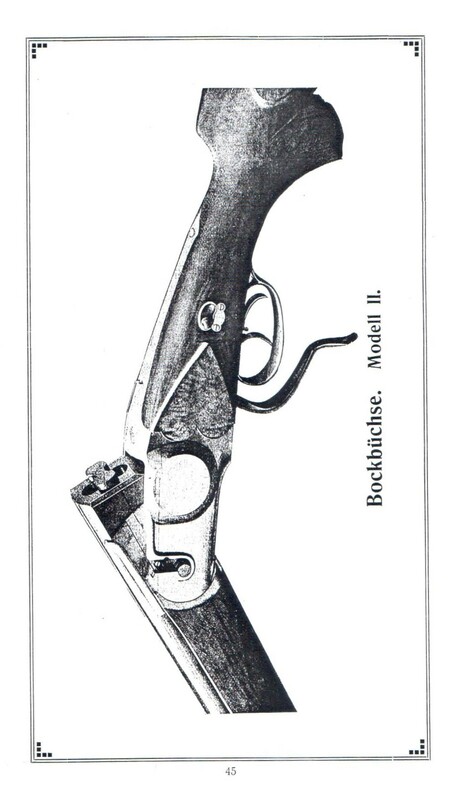 Burkard’s next firearms Patent was no. 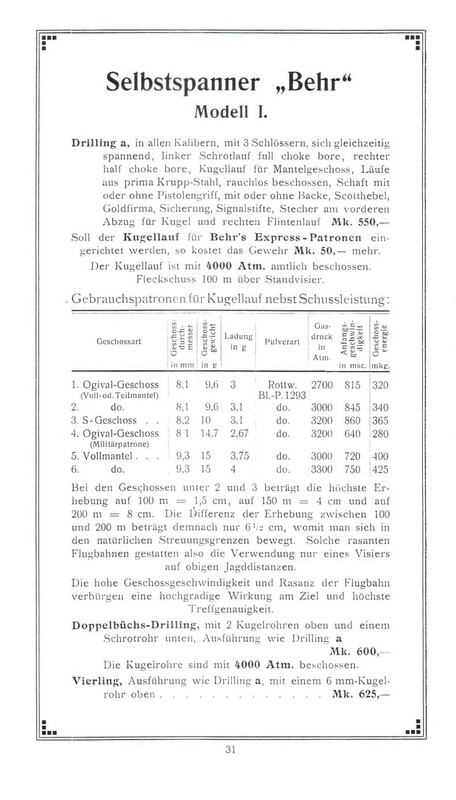 164855 of November 9, 1905 and covered another tipping barrel or kipplauf action which was basically similar in action to the previous one. 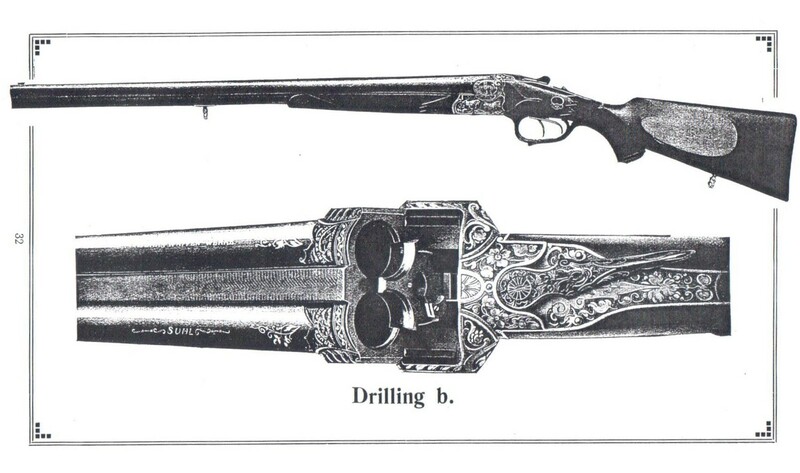 One differance was that the barrels were allowed to slide away from the standing breech as it opened. 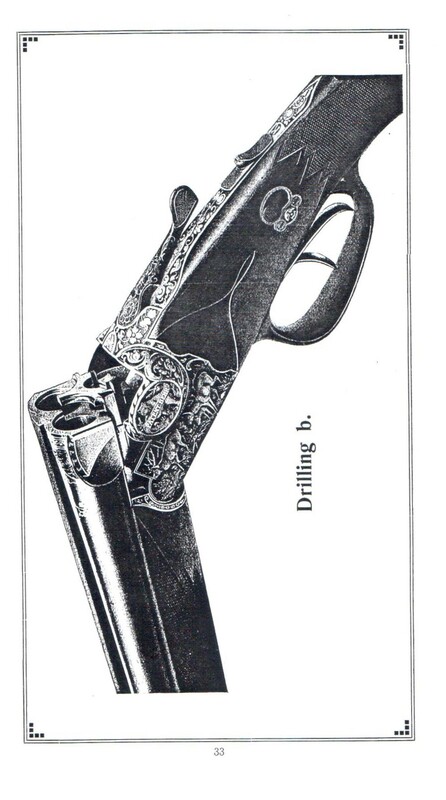 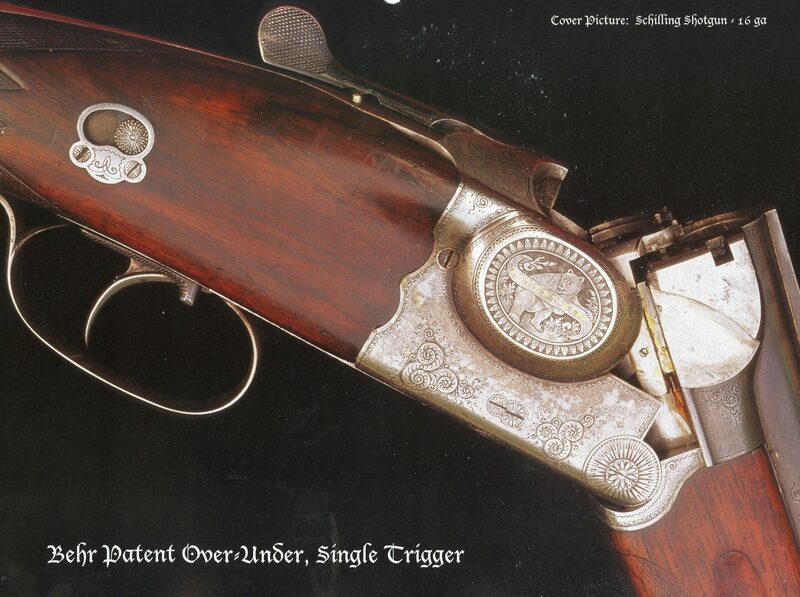 Burkard’s next Patent DRP197793 of May 5, 1908 shows a Drilling that is constructed with a seperate lower rifle barrel that has the hinge pins attached to it while the upper shotgun barrels have the dovetail bosses that intersect the receiver cheeks attached to them. 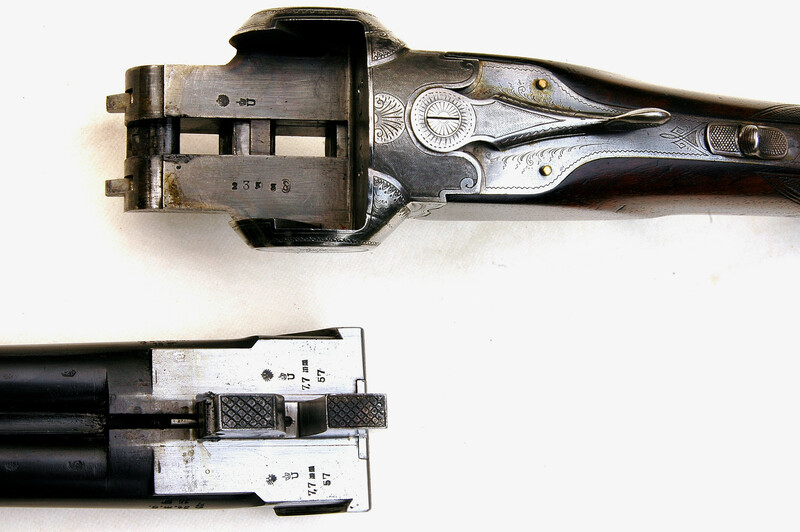 Burkard next turned his attention to the top lever lock up and his next Patent DRP200964 of August 3, 1908 covered a dovetail on the top barrel that was locked down by a lever which contained a mating dovetail. 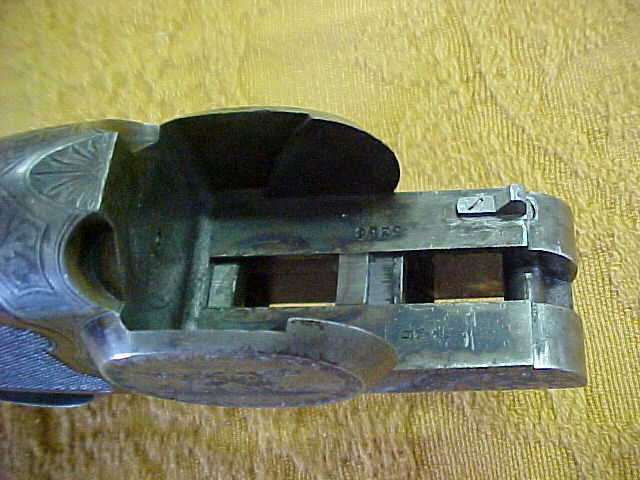 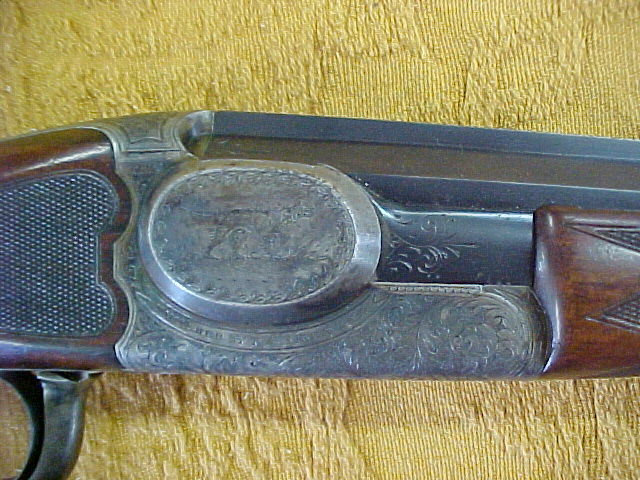 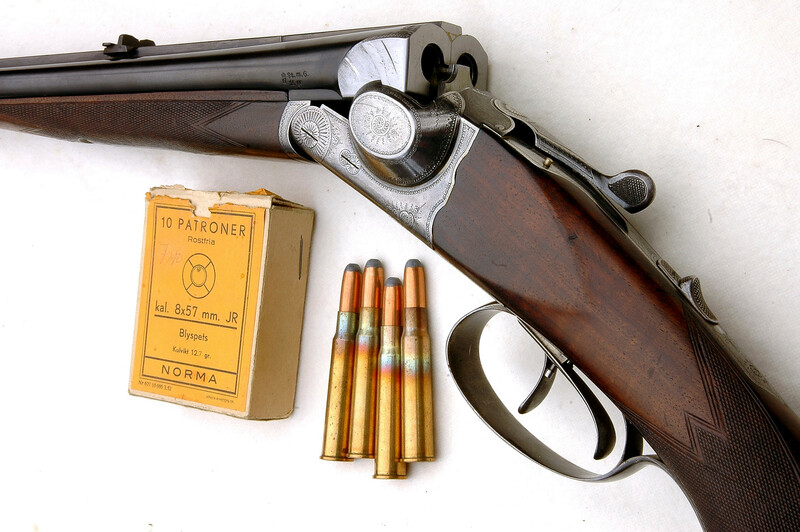 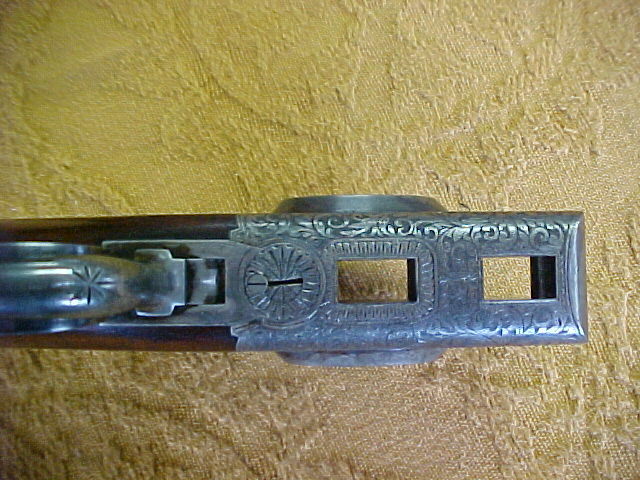 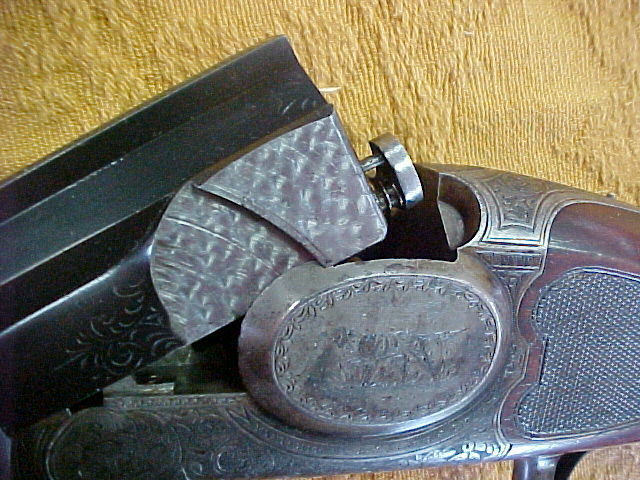 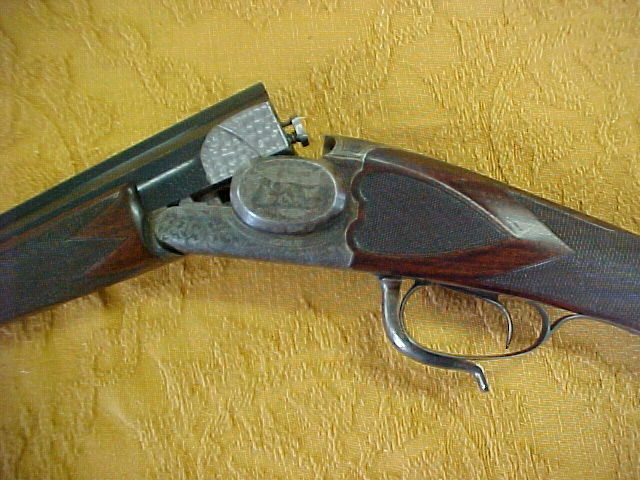 Burkard continued to refine his over under design and with DRP201508 of September 29, 1908 he did away with a hinge pin altogether and the dovetail bosses on the barrel sides are moved out from the breech and act as both the hinging members in the axis of rotation and as means to hold the barrels tight against the standing breech. 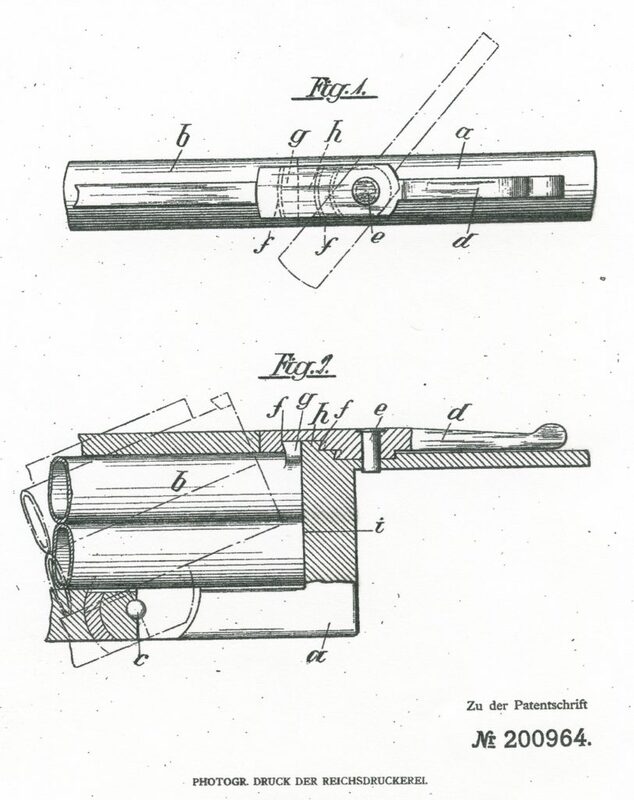 It is interesting to note that on August 4, 1906 Burkard applied for a Patent in the United States which differs from all of his other Patents. 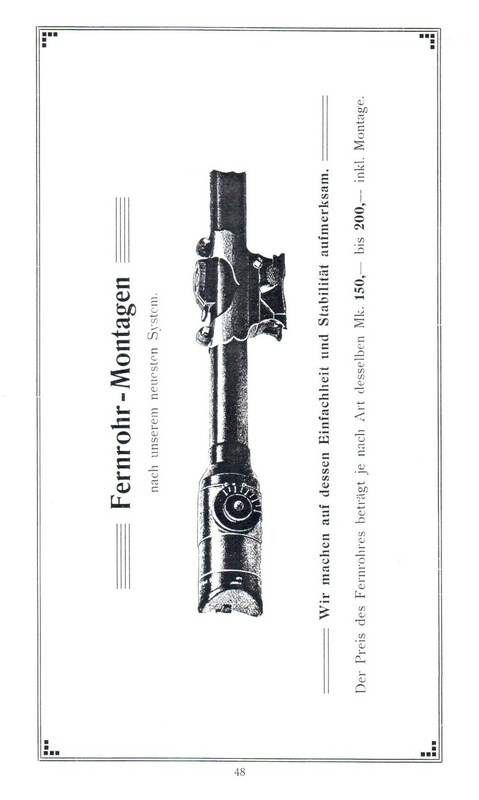 This is US no. 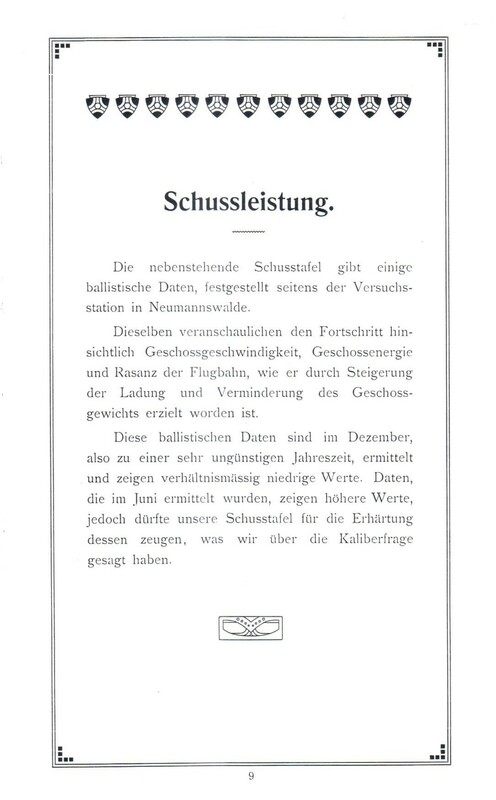 926,456 issued on June 29, 1909. 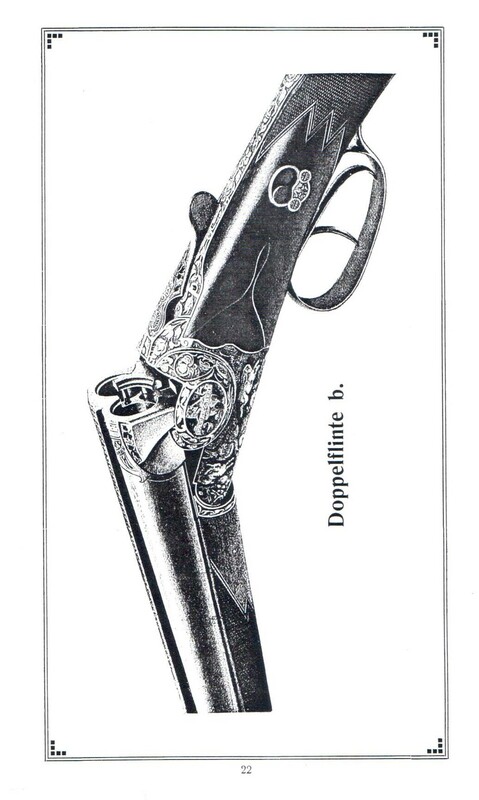 By the time it came out it had been made obsolete by his DRP201508 which was far superior. 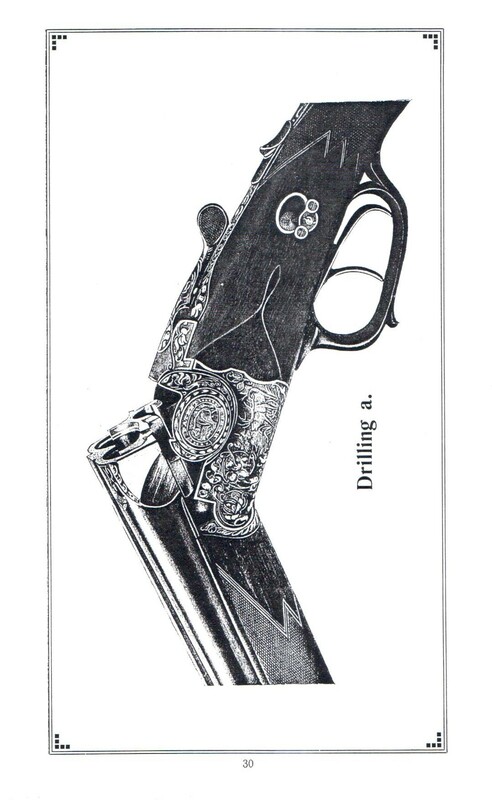 It should be noted that this Patent applied to side by sides and Drillings while DRP201508 applied to over under guns. 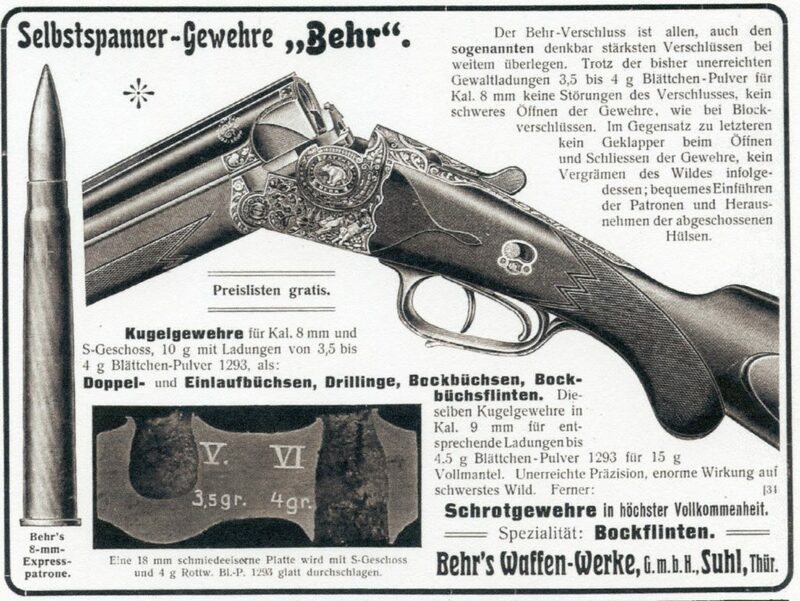 At the present it is unknown when Behr ceased production of his guns or what happened to the factory or the man. 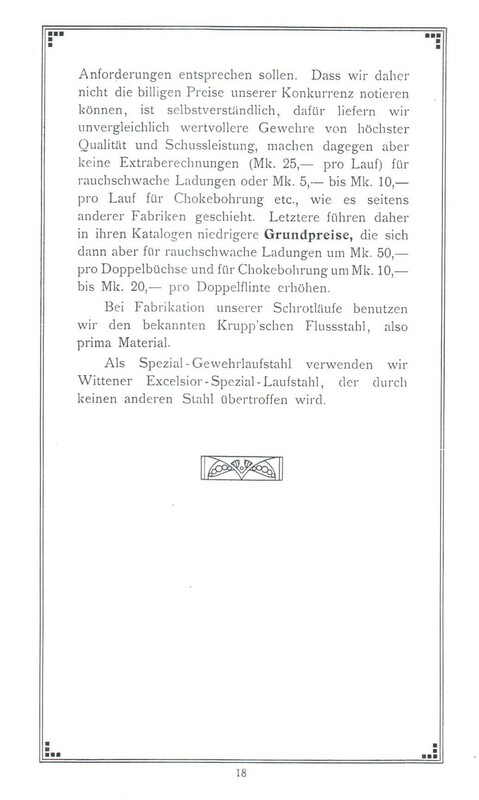 Anyone having information on this mystery man is invited to share it with us and we will add it to this Archive. 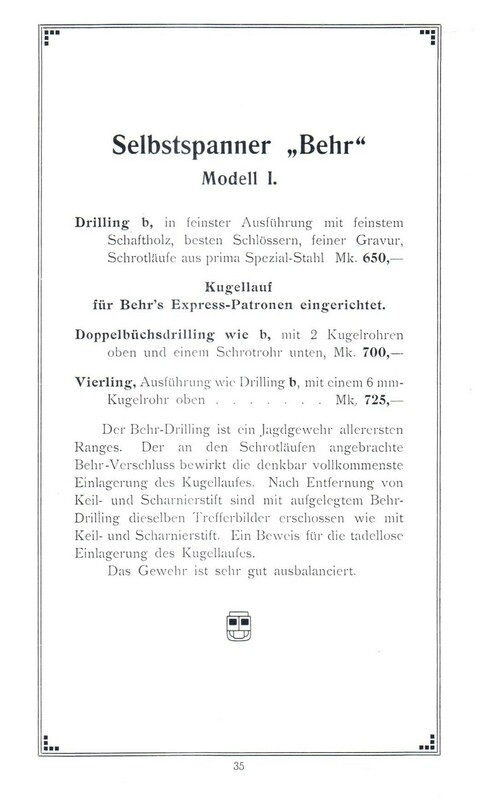 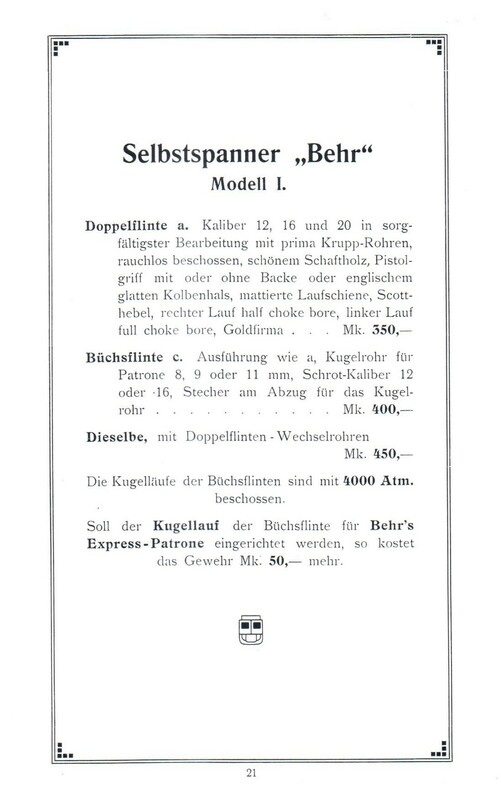 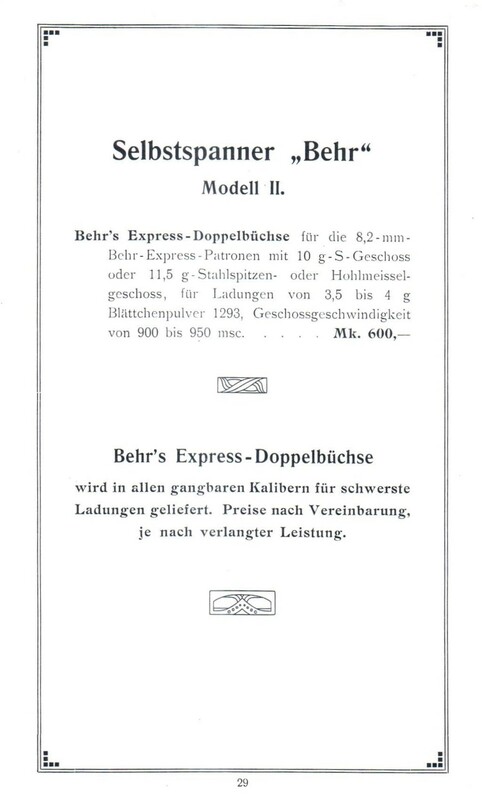 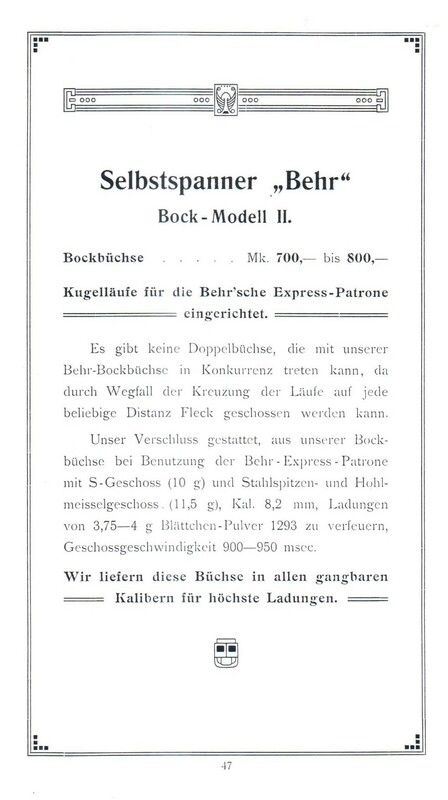 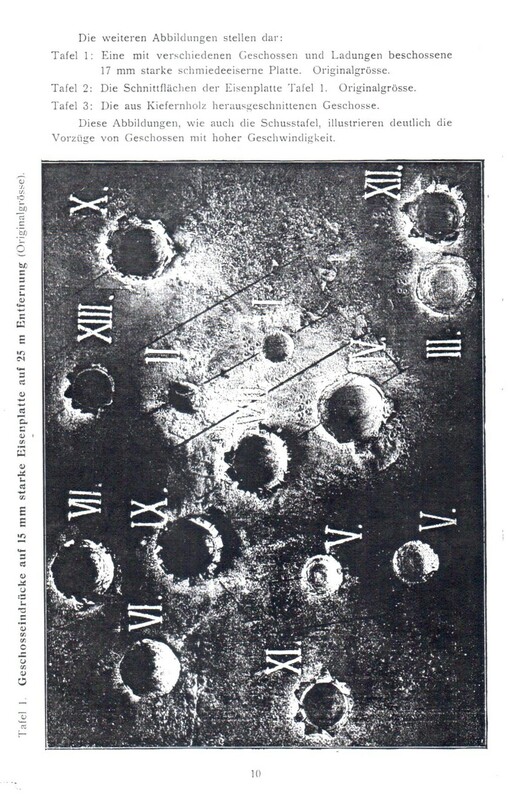 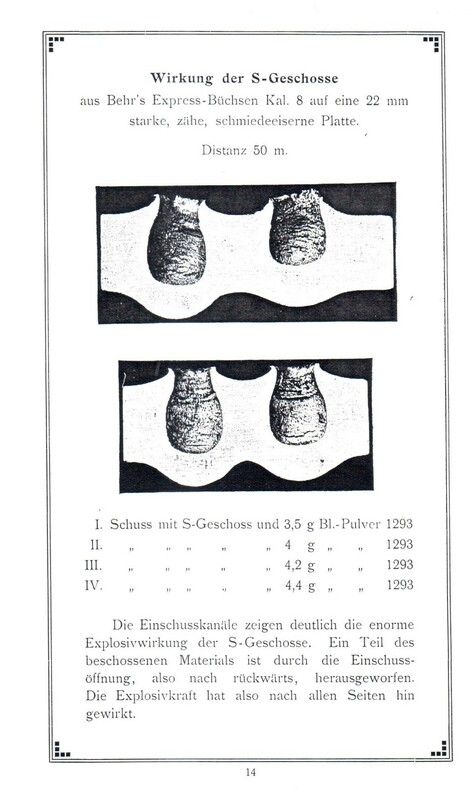 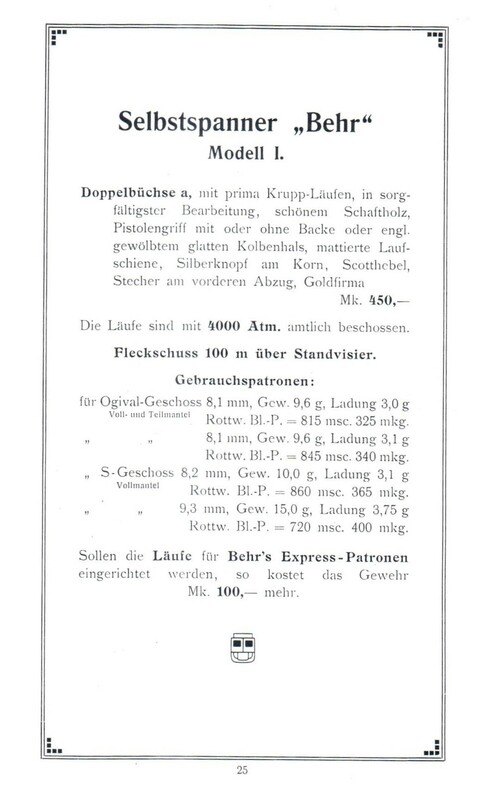 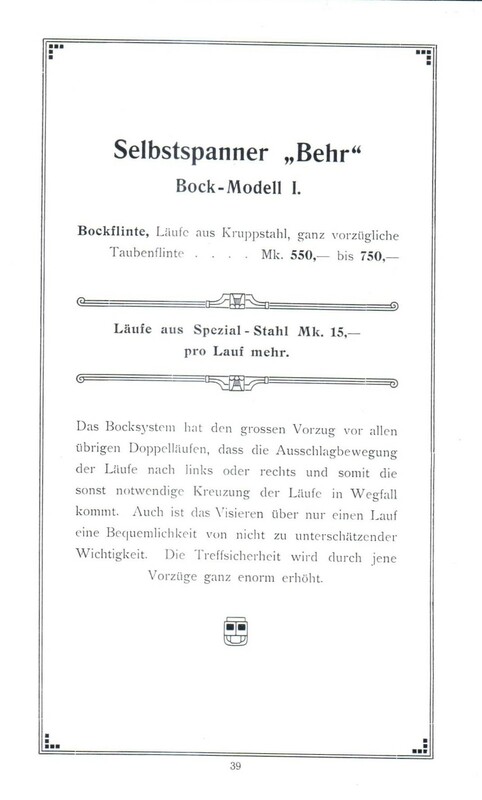 The following scans of what was probably a 1907 Behr Catalog are courtesy of Mr. Fredrik Franzén of Sweden. 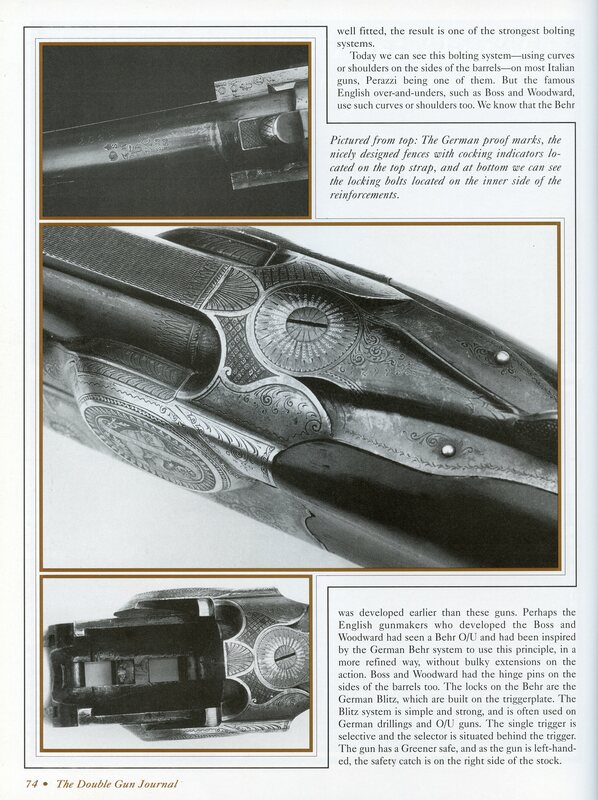 The following preview article appeared in the Autumn 1998 Issue (Vol. 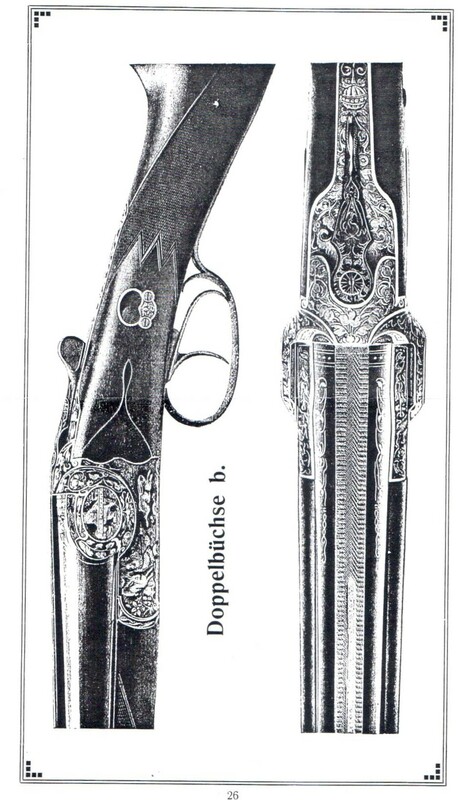 9, Iss.3) of the Double Gun Journal and is courtesy of the Author Fredrik Franzén and Daniel and Joanna Côté, editors of the Journal. 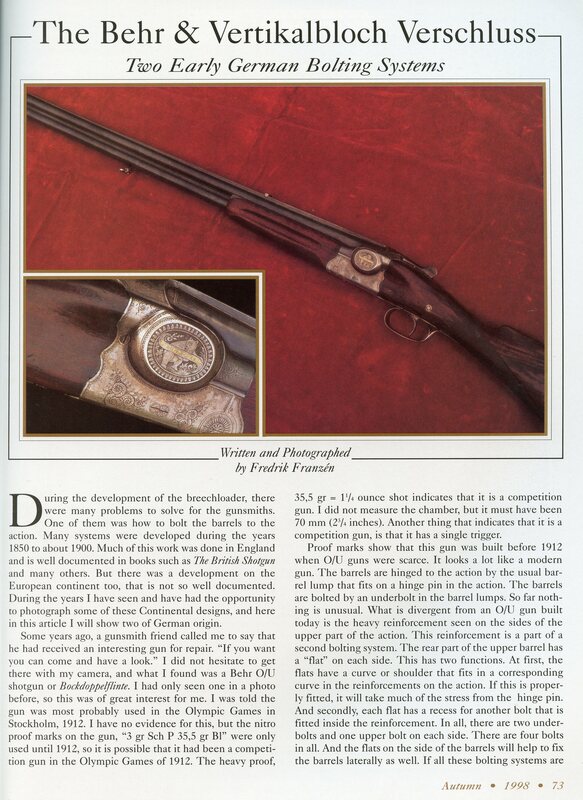 A back issue with the full article is available from them by calling (800) 447-1658. 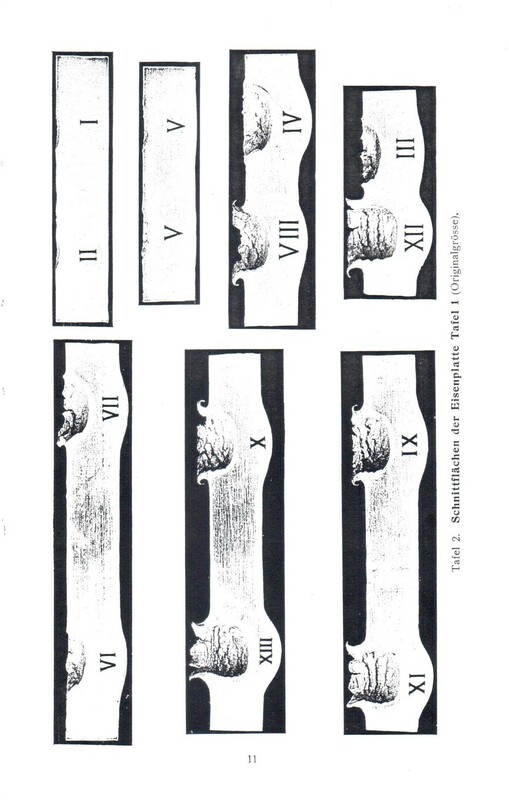 The following images were very generously sent by Mr. Fredrik Franzén of Sweden.